Hi everyone! It's Bobbi, Hair Stylist and Makeup Artist for Verde Beauty! Lately, I've been trying new types of makeup products for my kit. Here are a a couple of opinions I've had on these certain products. 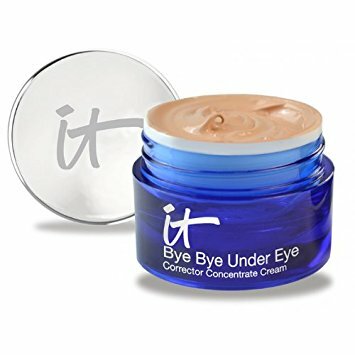 This is by far my favorite under eye concealer. It lasts all day causing no creases and under eye circles stay away. Also, a little goes a long way...when it comes to buying expensive products, that is extremely important to me. Rating : 5 out of 5! I was highly disappointed in this product. It did not feel or react like a cream eyeliner at all. It was very difficult to remove from the pod packaging and when I tried to use it on a client it applied an off color, even though it was labeled as black. I was not very fond of this powder. It did not help at all. It made the face look so white in pictures and didn't help with shine much either. I prefer Verde Beauty's Invisible Blotting Powder. It's never given me a problem and always helps with unwanted shine! I have absolutely fallen in love with the BECCA Champagne Splits Shimmer Skin Perfector. They have four different kinds : Champagne Pop / Hyacinth, Champagne Pop / Flowerchild, Prosecco / Amaretto, and Prosecco / Pamplemousse. They are very pigmented and a little bit goes a long way! I purchased Champagne Pop / Flowerchild and it is gorgeous! All four are beautiful and I can't wait to purchase all of them!